Bush- or shade-house at Toowoomba residence, Roslyn, ca. 1900. 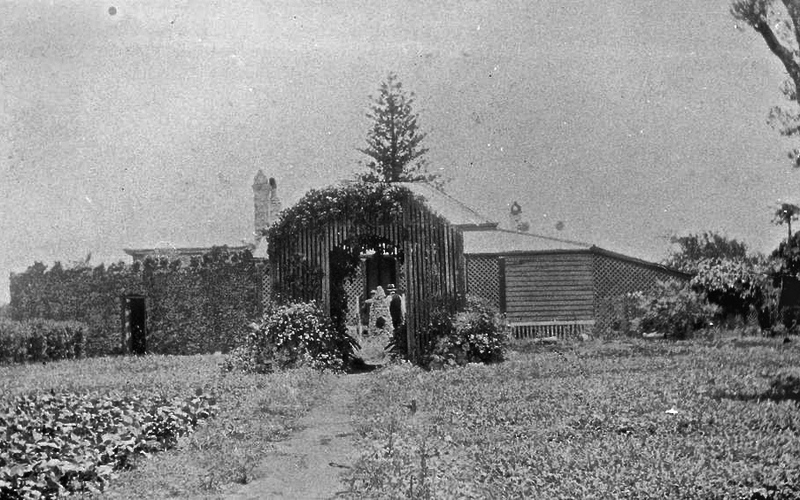 I recently came across these photos of an Australian vernacular garden structure: the bush-house. Fernery at ‘The Hollow,’ Mackay, ca. 1877, by Edmund Rawson. 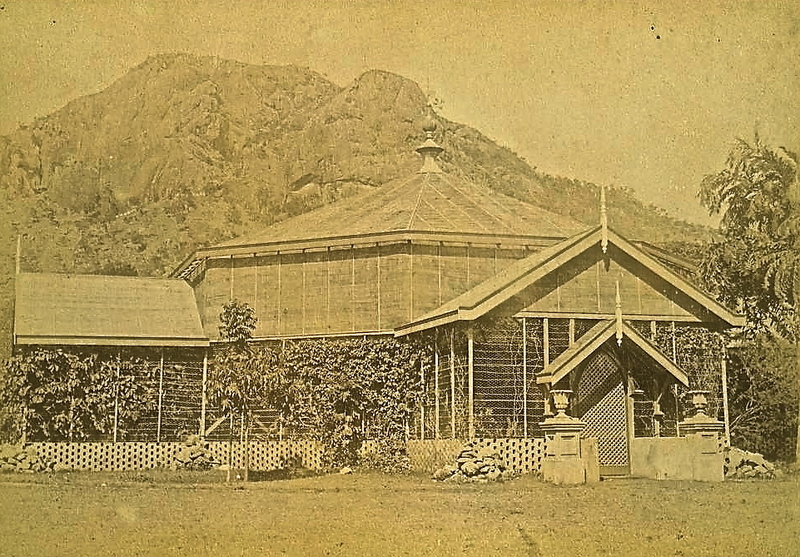 Bush-houses (also called shade-houses or ferneries) were built to protect tropical plants from the sun. 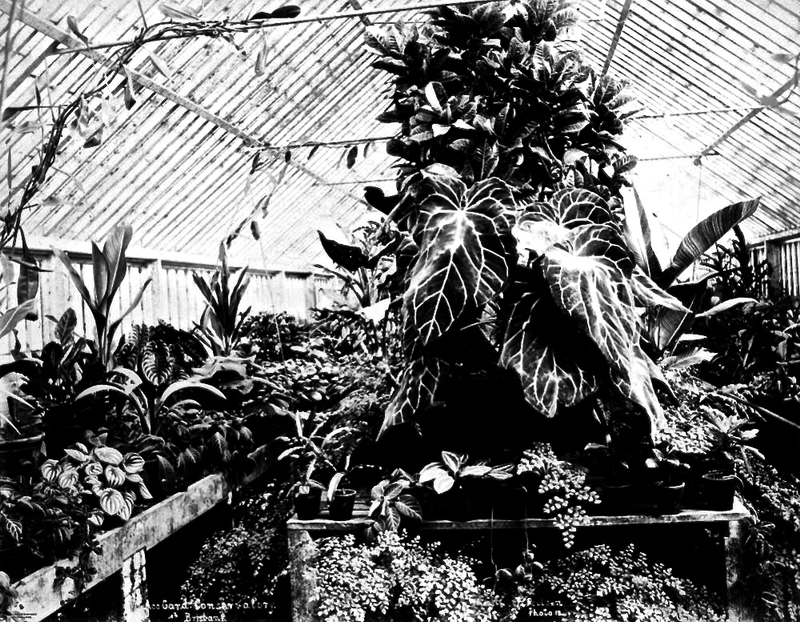 By the late 1800s, many Australian gardeners were as enthusiastic about amassing and displaying these plants as Victorian hothouse collectors in Great Britain and North America. 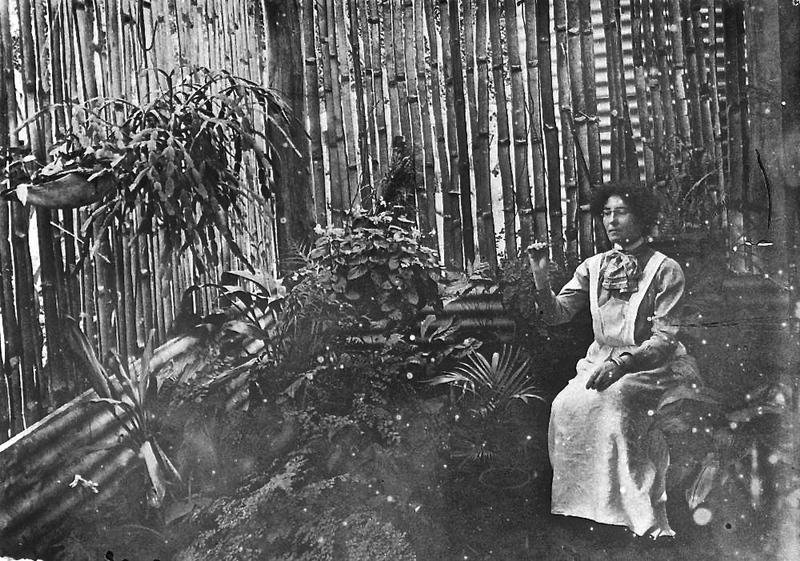 Florence Reid in a bamboo bush-house at Bainagowan Station, ca. 1900. The bush-house was modeled on the English glassed-in greenhouse or conservatory, but built with less costly, local materials. 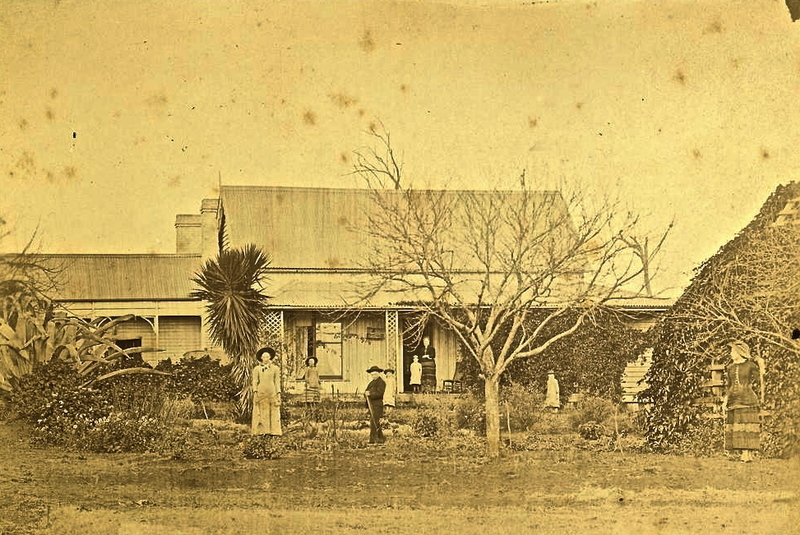 Gardening at the front of Aloe Villa, Toowoomba, ca. 1900. There is a bush-house on the right (and a massive agave on the left). 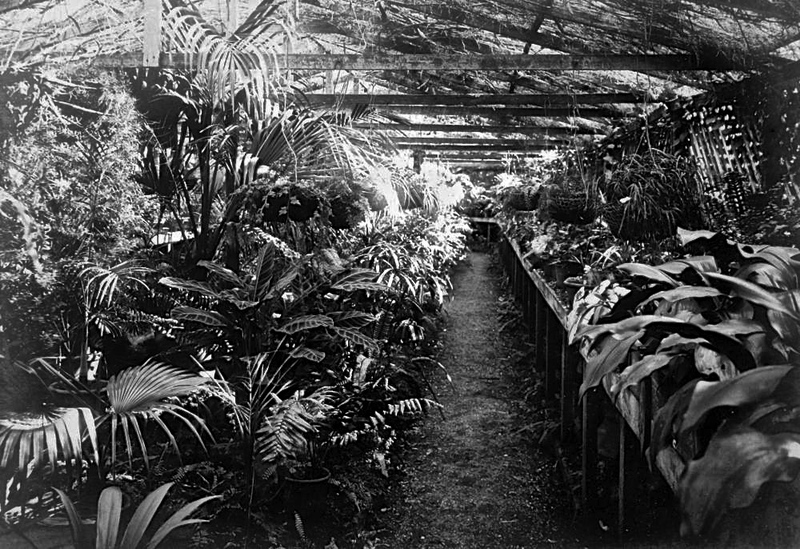 In a 2003 article for Queensland Review, “Tropicalia: Gardens with Tropical Attitude,” Jeannie Sim wrote that, by the end of the 19th century, a number of international exhibitions in Australia were showing off “high-quality examples of tropicalian gardening” in bush-houses. Fern-filled conservatory at Bowen Park, Brisbane, ca. 1890, by P.C. Poulsen. 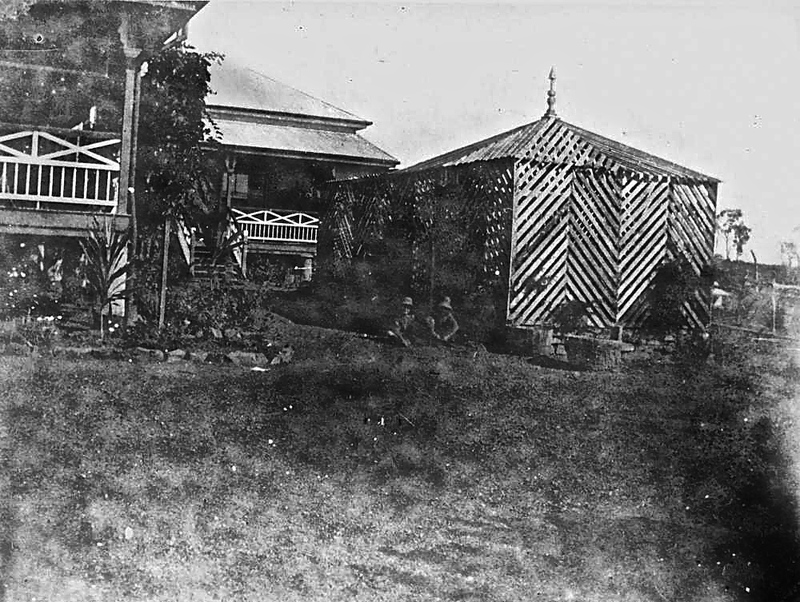 Shade-house in the garden at Merthyr House, Brisbane, ca. 1908. Bush-house at the Townsville Botanical Gardens, ca. 1900. Milton residence, Holly Dean on River Road, Milton, ca. 1900. While it’s hard to see any plants, there is an interesting lath structure on the left side of the porch. 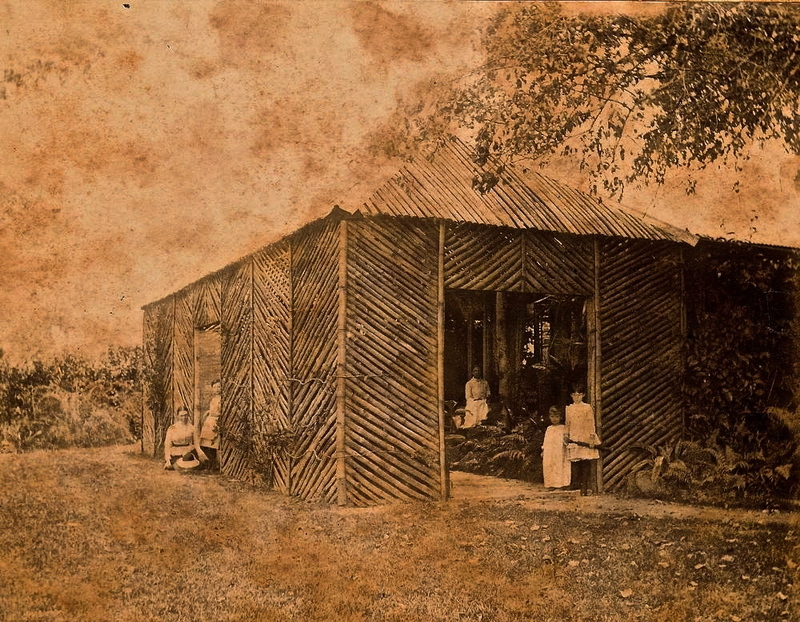 Judging from these photos, bush-houses seem to have been frequently constructed of panels of wood or bamboo lath set at decorative angles. Bush-house at Greenmount Station, ca. 1927. 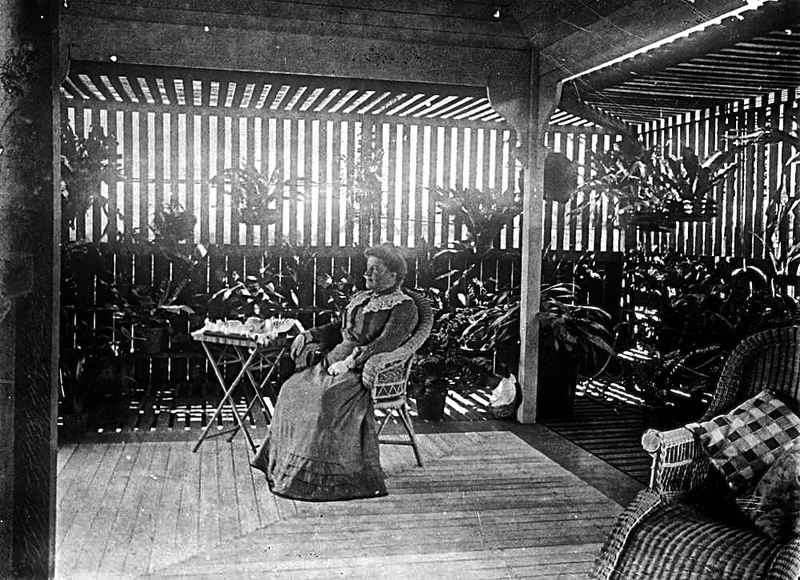 It also appears that many bush- or shade-houses were used as cool(er) places to entertain and relax. 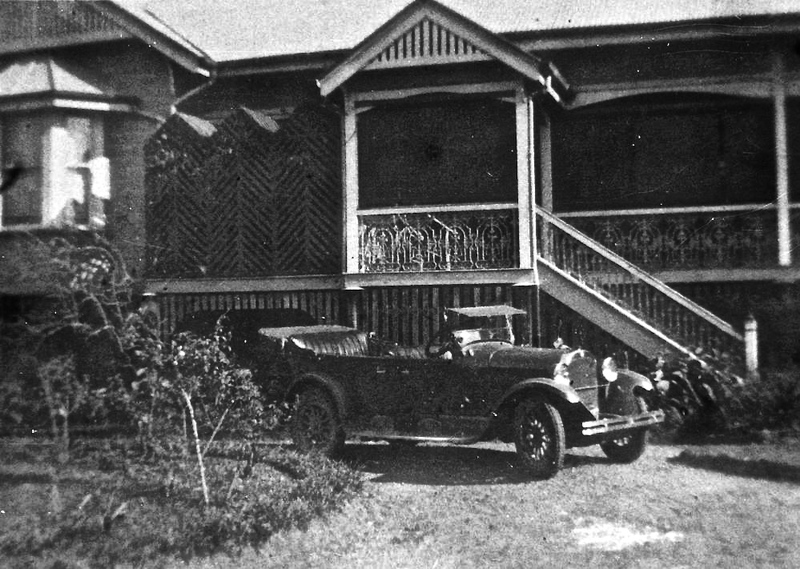 Fernery in the Clayfield residence, Elderslie, in the Brisbane suburb of Clayfield, ca. 1900. All of these photos are via the Commons Flickr photostream of the State Library of Queensland, Australia. Garden of the old prison superintendent house, St. Helena, 1928. There is a small lath summer house in the center of the path and trellis around the perimeter of the home behind it — perhaps enclosing a verandah around interior rooms? To scroll through larger versions of the pictures, click on ‘Continue reading’ below and then on any of the thumbnails in the gallery. Fernery on Dulacca Station, Western Queensland, ca. 1900. Outdoor decorations under the shade-house roof, ca. 1905. I just love these photographs! I used to work at an arboretum where there was a shade house for the young rhododendrons, but it was nowhere as beautiful as these. I love ferns, too, and the obsession that the Victorians had with them. It would have been wonderful to spend a few hours in one of those ferneries. Thanks so much for sharing these pieces of botanical past! I particularly like the design of the building in the first photo — that roofline and the angles of the lath. There’s something very current about their design and use of a simple material — wood lath. 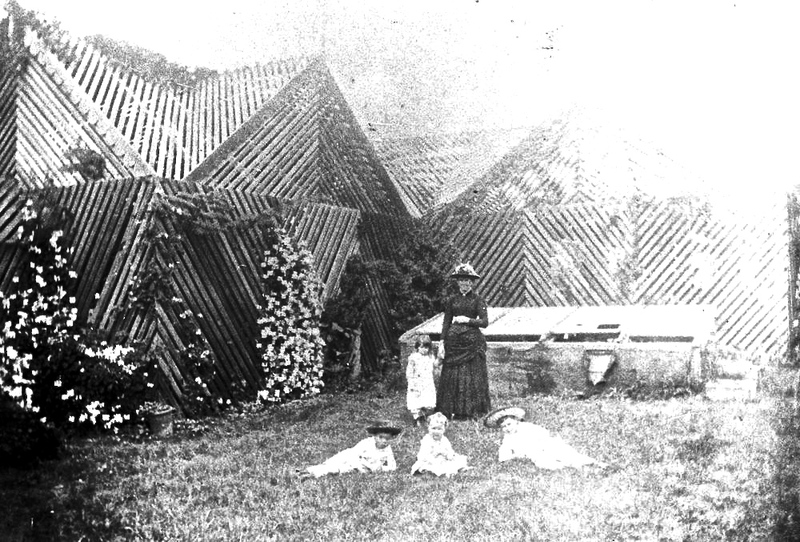 mid thirties here today – I feel quite faint at the idea of wearing all those Edwardian clothes, even in a shade house. One tough lady!